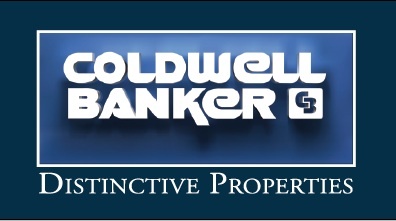 We made Grand Junction our hometown in 2001 and I established my Real Estate career in 2005. Being part of the community, as business people, residents and parents, we have experience many of the opportunities the Grand Valley has to offer. We appreciate the friendliness of the Grand Valley, and the small town values that exist in our community! As we were warmly welcomed to the area, we enjoy sharing that kindness with friends and new comers. My husband, Jim, our four daughters and I enjoy participating in the many activities available to us in Western Colorado and regularly visit our region's natural wonders and resources. Jen became our 2nd realtor after we were not satisfied with our initial realtor we chose. A friend of a friend recommended Jen and what a recommendation! Jen met with us, confidently told us about the GJ market, thoughtfully listened (and heard) what we wanted in our new home and the rest is history. We love, love, love our new home and every day we thank our fabulous realtor, Jen, for being with us every step of the way and making it happen. Jen and Rita were awesome! We had listed by house with them in February. The dynamics of they transaction were complicated, since I lived over 4 hours away and we had renters to navigate around. We received 2 offers and the house closed in July. Jen and Rita scheduled all of the maintenance and coordinated to get all of the issues that the buyers wanted resolved done in an orderly fashion and on time. Excellent experience and we would highly recommend. Jen both helped us purchase property and sold our home. She is attentive to detail, and guided us through the process of selling and purchasing property. She made excellent suggestions in preparing our home for it's next owners. She is responsive, well versed in the idiosyncrasies of the Grand Junction market, and professional. We highly recommend her services.